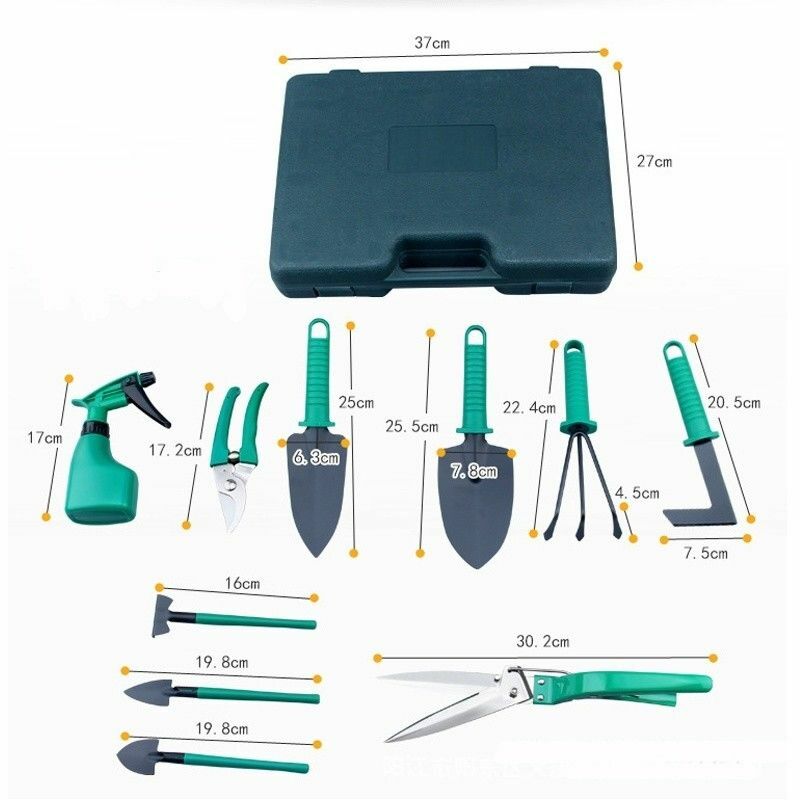 This garden tool set is suitable for transplanting, loosening soil and weeding of flower and vegetable seedlings. 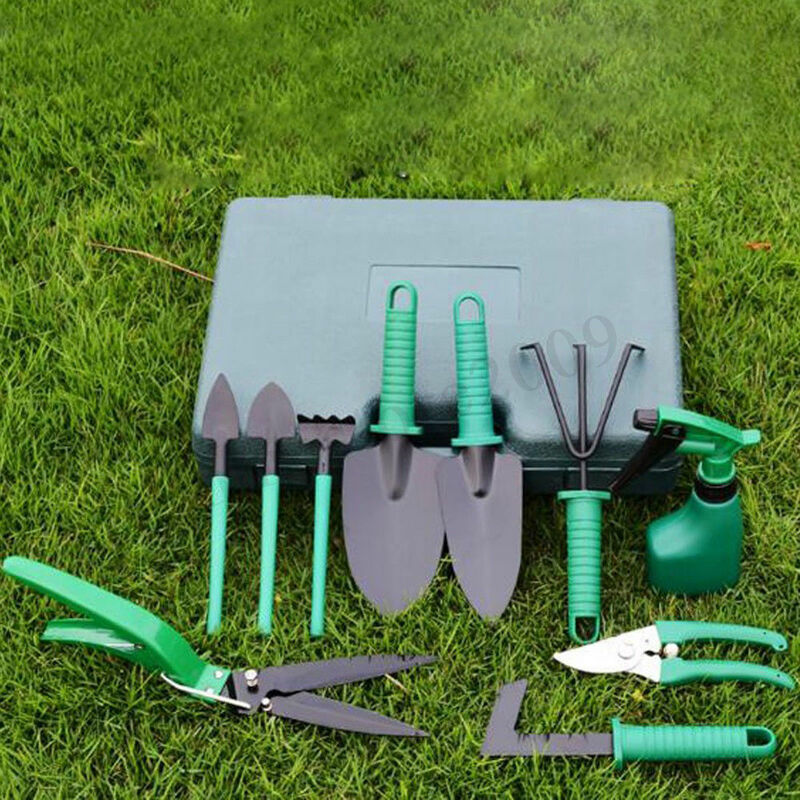 It is an essential universal tool set for families. Come and try it. 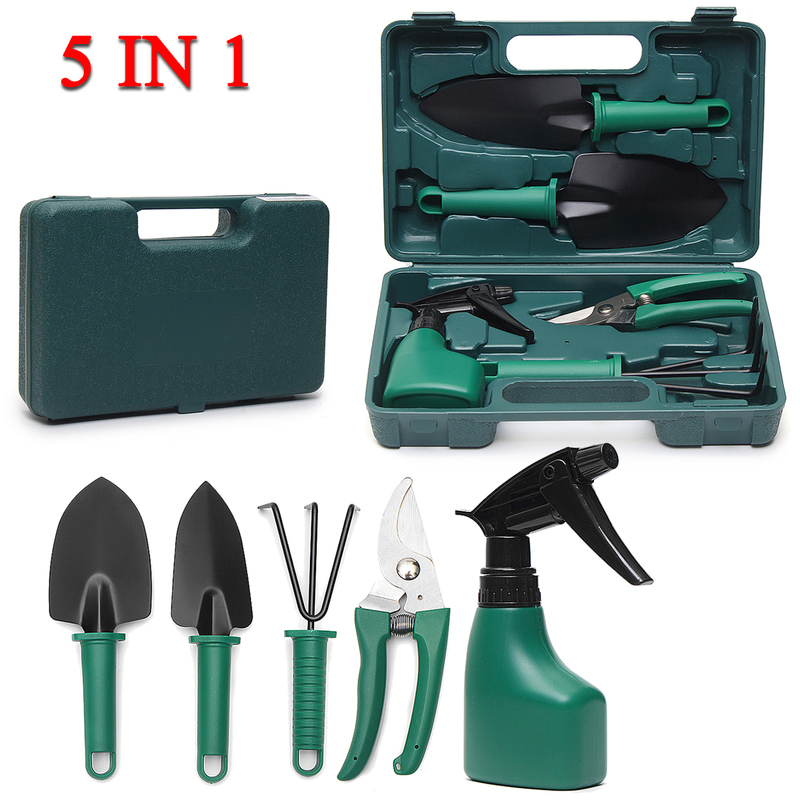 Made of fine quality materials, has a long service life. 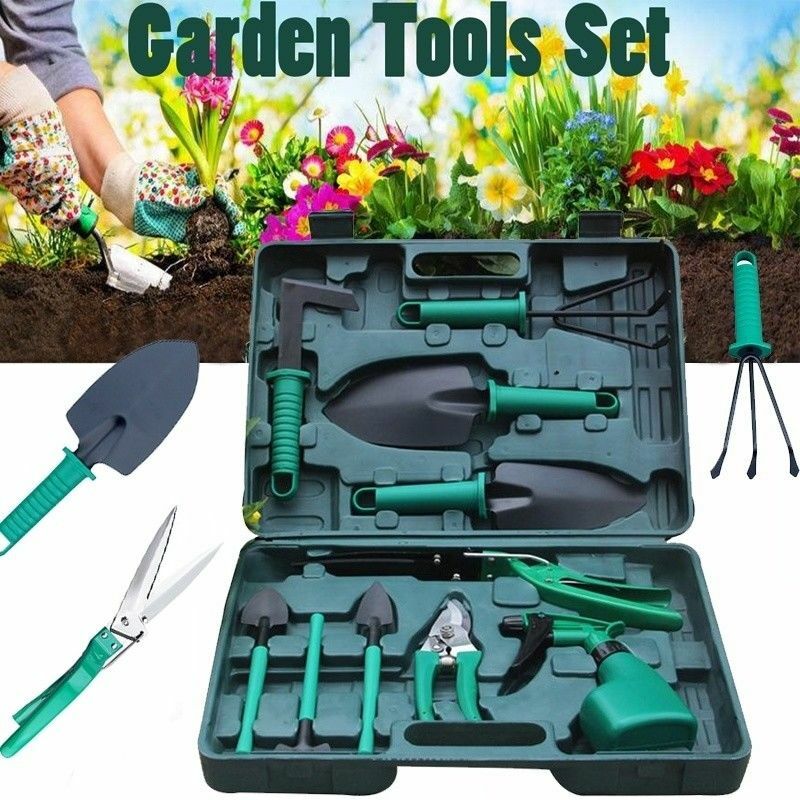 This garden tool set is suitable for digging, transplanting, weeding, loosening soil, aerating and so on; meanwhile protecting your hands from hurting. Ergonomic design, soft handles and grips reduce hand and arm fatigue while working. 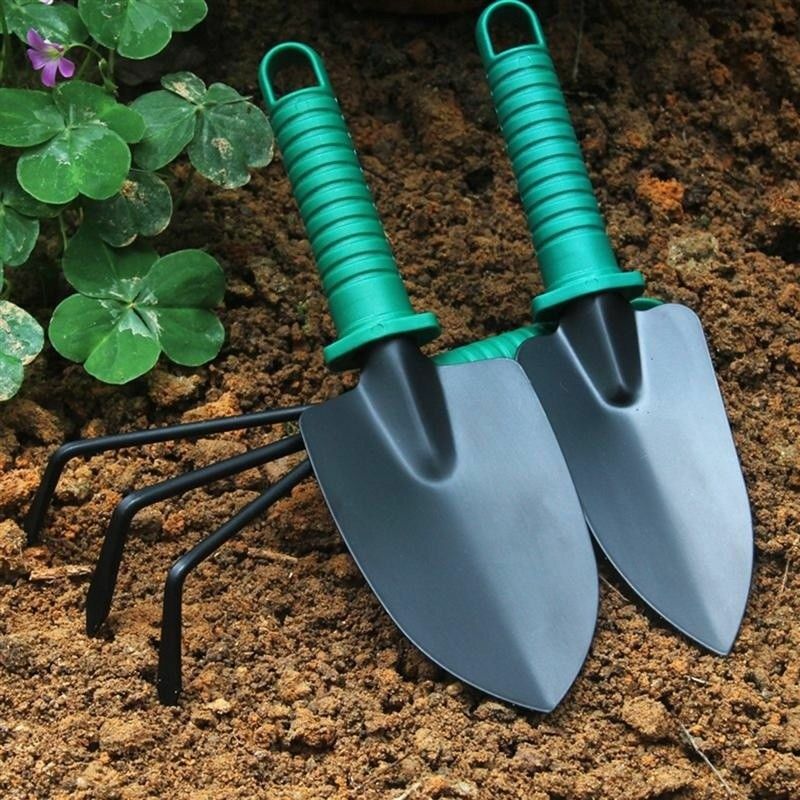 The metal part of the shovel is made of A3 steel plate, the surface is painted, and it has the functions of high hardness and rust prevention. 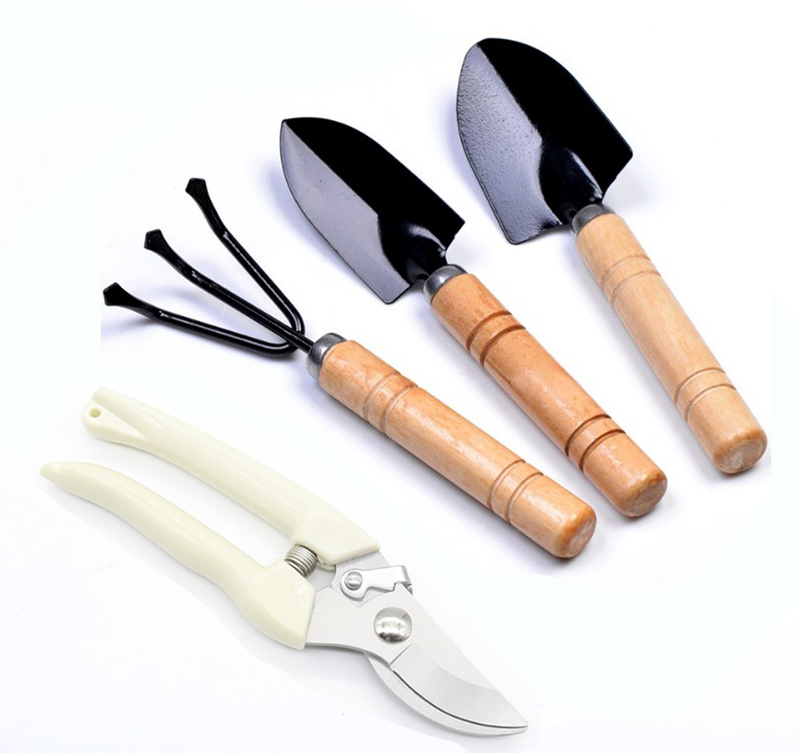 The top of the pruning shears is made of carbon steel, and the cuts are smooth and flat without damaging the branches. 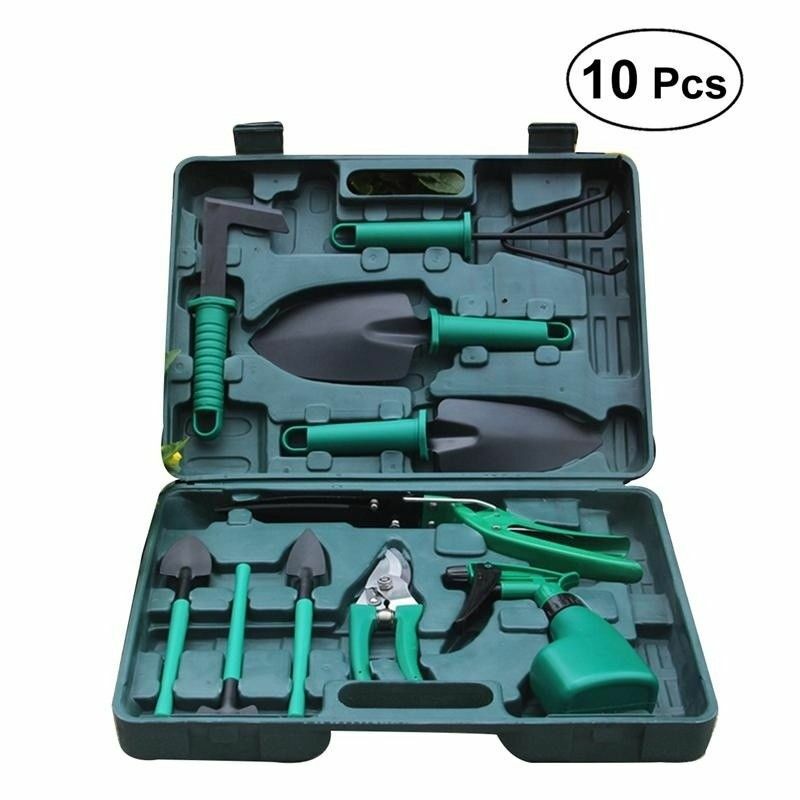 Mini size and easy to carry, the plastic case can protect and store tools. 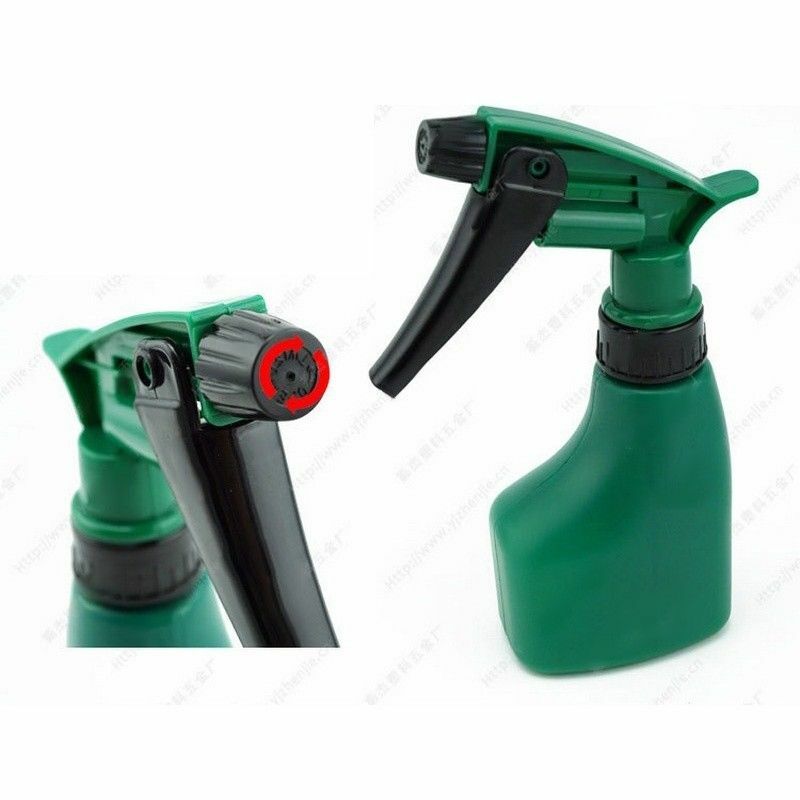 Nozzle switch: turn counterclockwise to open the nozzle and clockwise to close the nozzle. 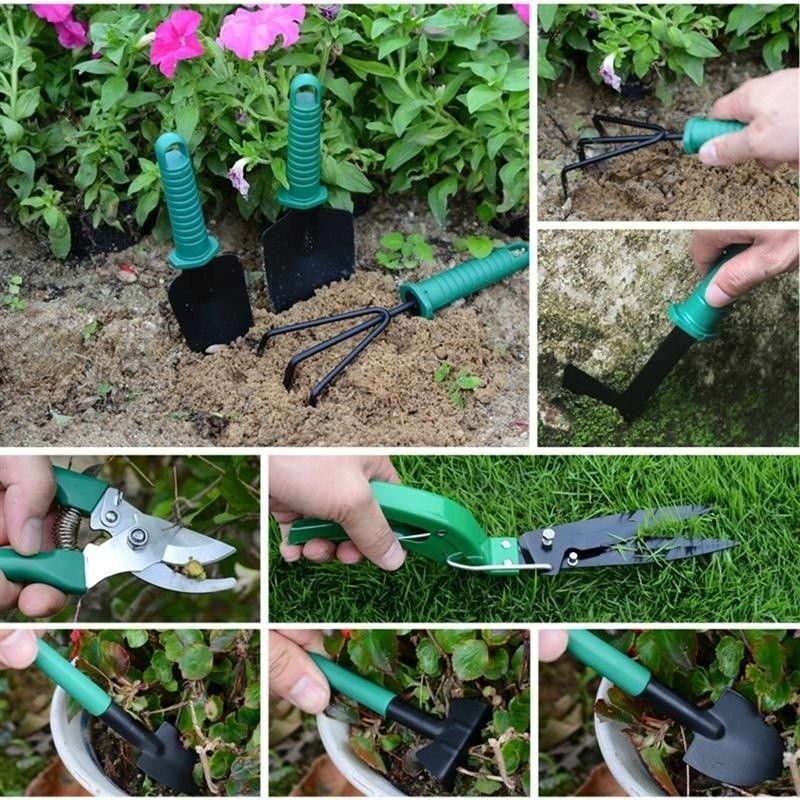 Pruning shears cut maximum 12mm branches. 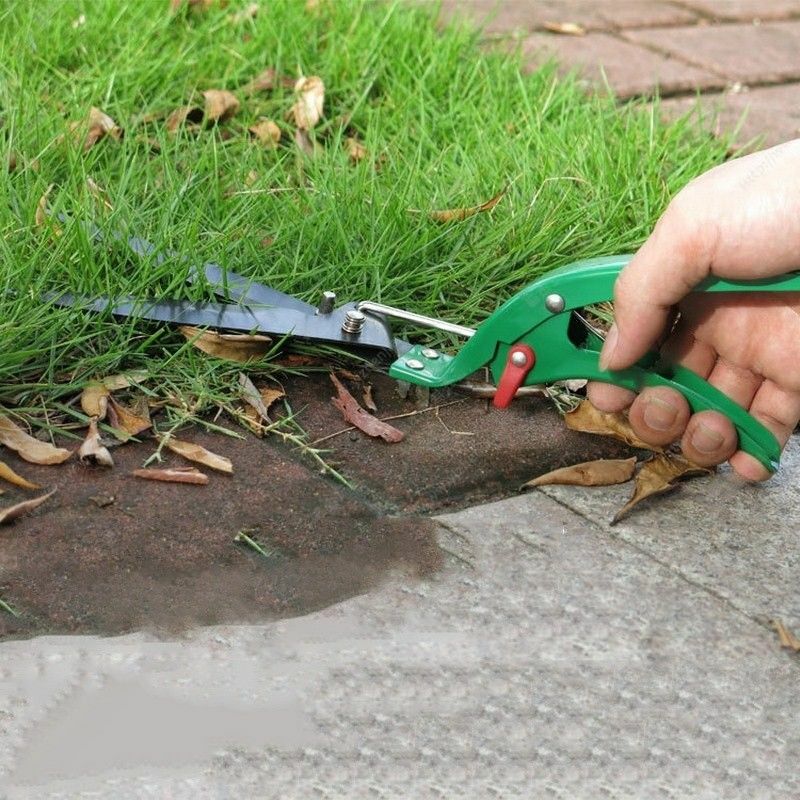 Grass shears are only suitable for turf pruning and should not be used for other purposes to avoid damage. 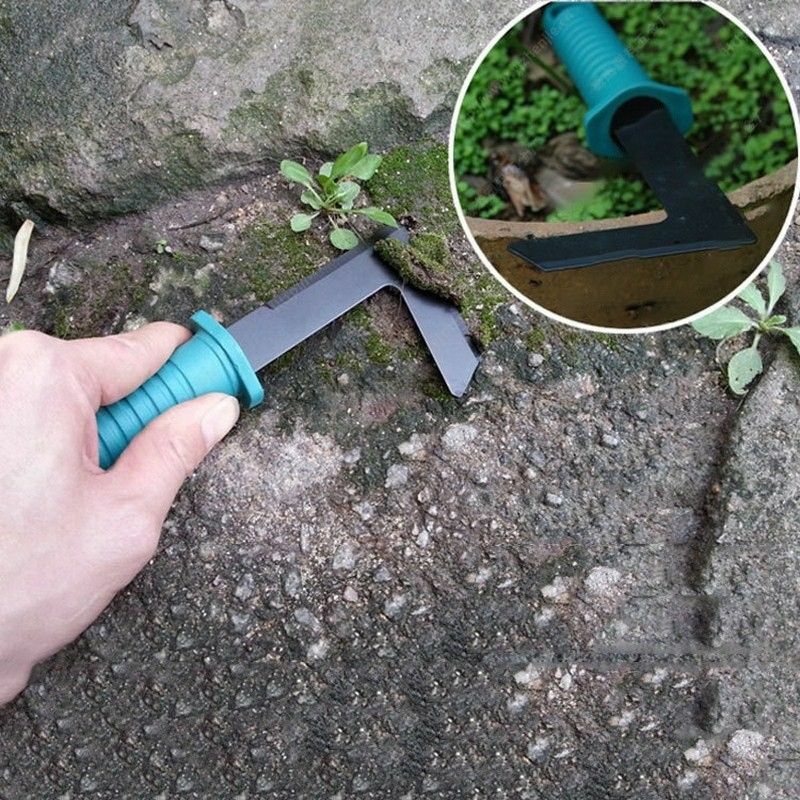 Weeding cutter is used to remove weeds between moss voids. -We ONLY accept PAYPAL as the method of payment. -Pls confirm your address when you make payment.Pls leave note if you need revise address. -Pls make mayment within 3 business days after place an order or auction closing. -Any problem pls contact with us,Our work hours: 9:00 AM – 18:00 PM Monday to Friday. -We only ship to confirmed order address. Please make sure your shipping address match to Paypal address. -Please kindly check your local customs policy carefully before Place order.We will NOT responsible for any import duties,local taxes and any failure delivery related customs issue. -And it need about 50-60 Business days to Africa and South America area. -If you need fast or registered shipping please feel free to contact us. -We accept 30 day return for any arrived damaged or defective item. -Please send us a messages within 30 days of the order date. -The buyer is responsible for return shipping fee for any situation out of our return policy states. -All the returned items Must be in the original package and good condition.Your specific reason for return with photo proven is needed. -Pls send us messages firstly if you have any problem,we will provide you best service. -We strive for 100% customer satisfaction. Please kindly contact us via eBay message for best solution at the first time. -Please kindly send eBay message first instead of natural or negative feedback when the item can not meet your expectation. -Our customer service team work hours: 9:00 AM – 18:00 PM Monday to Friday. –Professional Global seller.Try to Continuely provide best service for buyers from worldwide. -Worry-Free Warranty Service.30 day return,12Months Technical Experts. -Best Customer Service,we will reply you within 48hours. –Please feel free to send us messages and describe your troubles , i will provide best service.